The Hawaiian Lei represents a gift given upon greeting or leaving someone. Leis are a way of celebrating and encouraging each other. Life is like the lei, connecting us with others and being a blessing to everyone that crosses our path. This artwork also encourages us to always focus on the brighter things in our life and circumstances even when everything around us is gray. 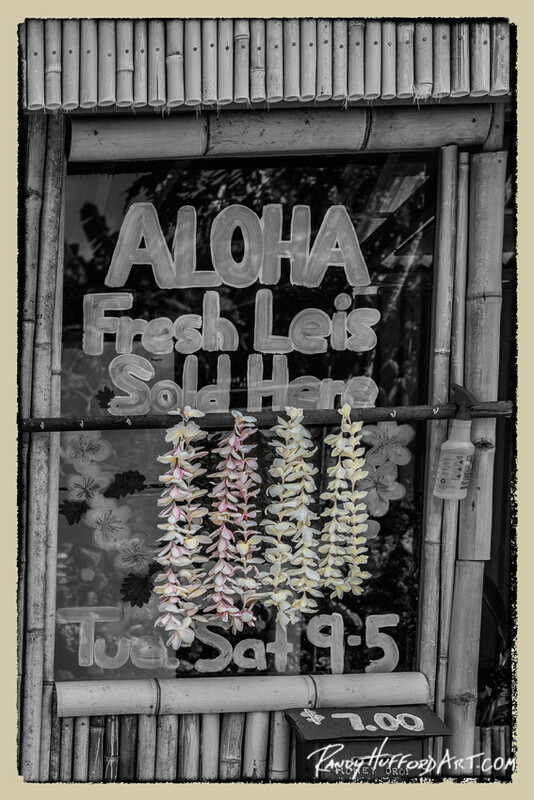 Aloha Leis stand is on the back road to Hana, Maui, Hawaii.